The Reunion resort is always a spectacular place to visit, especially for the holidays. I mean who wouldn't be interested in spending Thanksgiving, Christmas, New Years, or what ever holiday you and your family celebrate playing golf on one of the three signature golf courses designed by golf’s greatest legends? If golf is not your thing, the resort also boasts 10 swimming pools and a water park as well, so you can spend the day splashing around the water park, or play tennis on one of the six lighted tennis courts. With Reunions central location between its sister Grand Golf Resorts of Florida properties, and only a short 30 minutes from the Orlando International Airport and six miles from Walt Disney World, Reunion Resort is an ideal place to spend the holidays. With an exclusive 2,300-acre community that has the space, amenities and accommodations to bring together families, golfing buddies, social events and meetings, Reunion is already a great destination, but what can make it better you ask? For Thanksgiving, Christmas, and New Years Eve and Day, all of the restaurants on the resorts property are serving up some pretty awesome food, and the best part is...No slaving away in the kitchen, and more time to spend with family. The Thanksgiving Grande Feast is held in the Grande Ballroom and is $45.95 for adults and $19.95 for children ages 4 -12. The Thanksgiving Grande feast includes a selection of salads with local field greens, seasonal fruits and berries, cured meats, breads and condiments, potato salad, and a quinoa & kale salad. The carving station will feature buttermilk brined turkey, and herb crusted prime rib with herbed celery and onion stuffing. On display in the chilled seafood section guests will find house smoked salmon, spicy New Orleans shrimp and a crab and tortellini salad. Additionally there will be an offering of lemon thyme roasted pork loin, butternut squash bisque, herb roasted vegetables, mashed potatoes, and maple rosemary sweet potatoes. The little ones are not forgotten as they will have honey fried chicken tenders, mashed potatoes, spaghetti and meatballs, pizza, and macaroni and cheese. Desserts will include the following: pumpkin pie, apple pie, pecan pie, spiced carrot cake,mini creme caramel, chocolate fudge peanut butter cake and a pear upside down cake. The Clubhouse will be offering a dinner only deal for $34.95 for adults and $19.95 for children, that features a choice of soups or a salad and a choice of one of four different entrees as well a choice of dessert. At Forte Grill guests can go for a more traditional dining option and enjoy a three course meal for $49.95 that includes your choice of braised kale and Linguica sausage or arugula and fennel salad for a first course, slow roasted maple glazed tom turkey, grilled fillet of beef or a pan roasted halibut for a second course. The dessert featured will be the white chocolate cranberry bread pudding. The Christmas Grande Feast includes a selection of salads with spinach & Mandarin orange salad, Caesar salad, pate's and cured meats and a truffle fingerling salad. The carving station will feature herb roasted turkey and a horseradish and herb crusted strip sirloin. In the chilled seafood display area, guests will be treated to citrus dill Atlantic salmon, poached gulf shrimp, and marinated green lip New Zealand mussels. other offerings include smoked tomato and shallot bisque, braised short ribs, chive mashed potatoes, creamed spinach & artichoke hearts and sauteed shrimp & fennel with a tomato pernod sauce. Deserts will feature pecan pie, yule logs, snicker doodles, Christmas cookies, turtle cheesecakes, mini cream puffs and peppermint meringue. As with the Thanksgiving dinner festivities, the resorts other restaurants...The Clubhouse, Forte and Eleven will also be featuring separate Christmas eve and Christmas day dinner specials as well as New Years eve and day dinner specials individually. Of particular note is the New Years Eve special at Forte that has roast lamb loin as a choice for the second course. Of course the wonderful people at Reunion were kind enough to invite me out to sample just about everything, so enjoy all of the pics....and yes it was all very delicious. The first thing I sampled was the Herb Lamb Chop with rosemary mint jelly and fresh gnocchi with basil cream sauce. 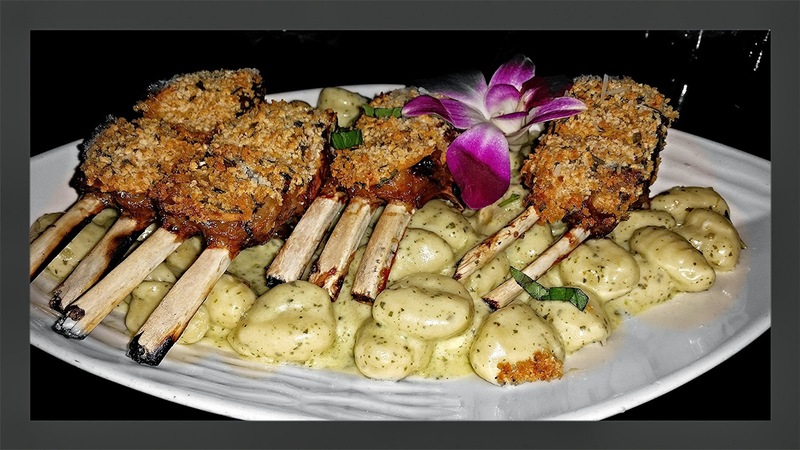 Very tender lamb chops and a delicious gnocchi made this hard to stop eating. 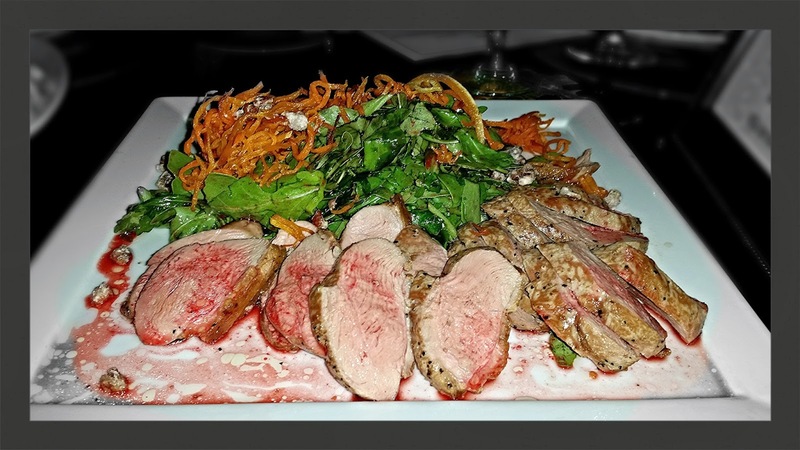 Next up was the Seared Duck Breast over arugula salad with sweet potato, caramelized pecans and raspberry vinaigrette. 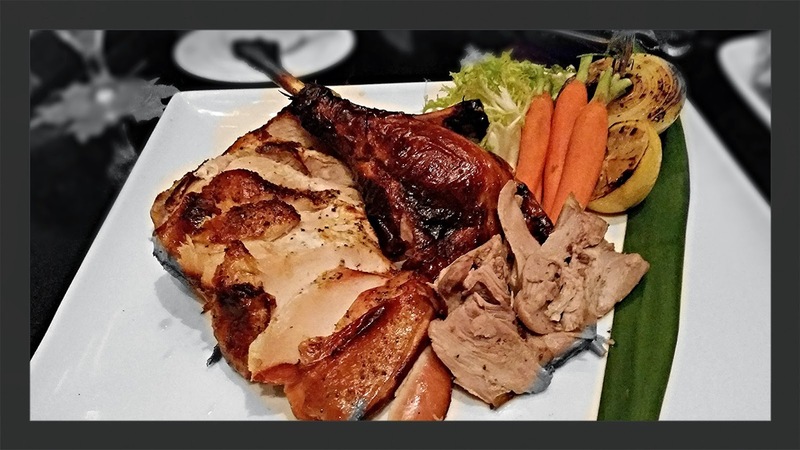 Moist tender medallions of duck cooked to perfection. 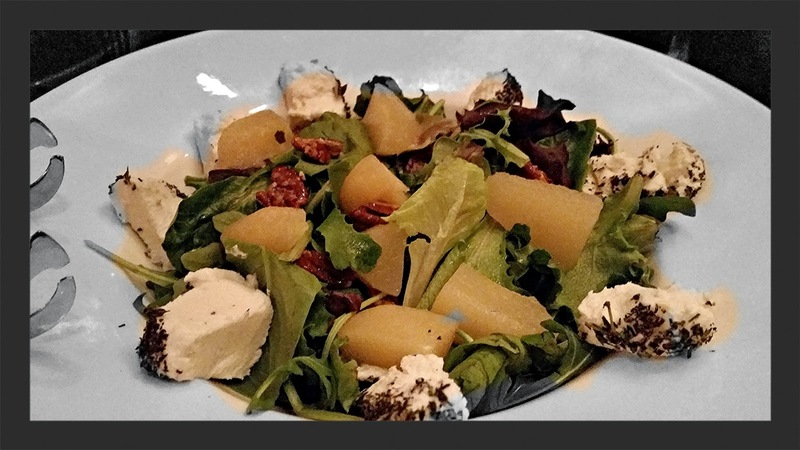 For Christmas, The Clubhouse will feature a Winter Salad with mixed greens, poached pears, candied pecans, herb crusted goat cheese toasted walnuts and a white balsamic vinaigrette. 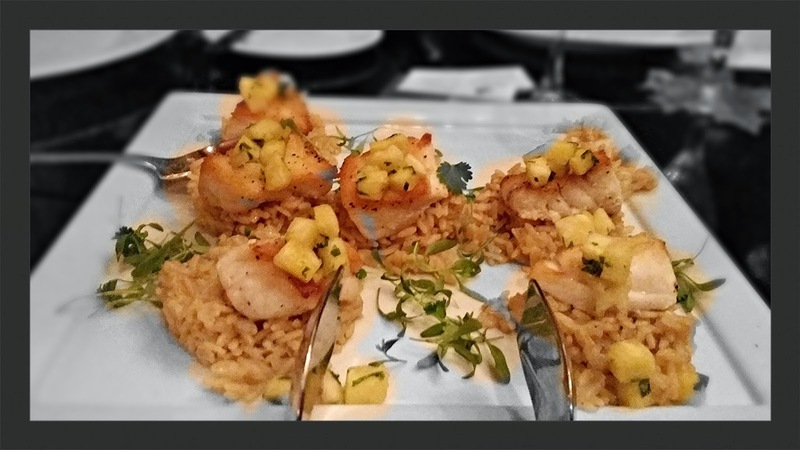 One of my favorite dishes was the Pan Seared Grouper over brown rice risotto served with ginger cilantro sauce and citrus salsa. Very delicately cooked fish with a touch of heat and sweet. 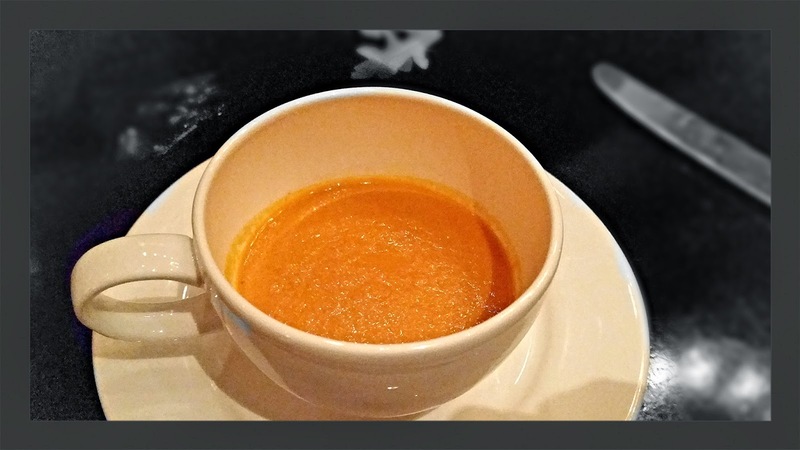 The Smoked Tomato Shallot Bisque will be featured on the Christmas Grande Feast buffet. This had a very nice flavor profile and was delicious. 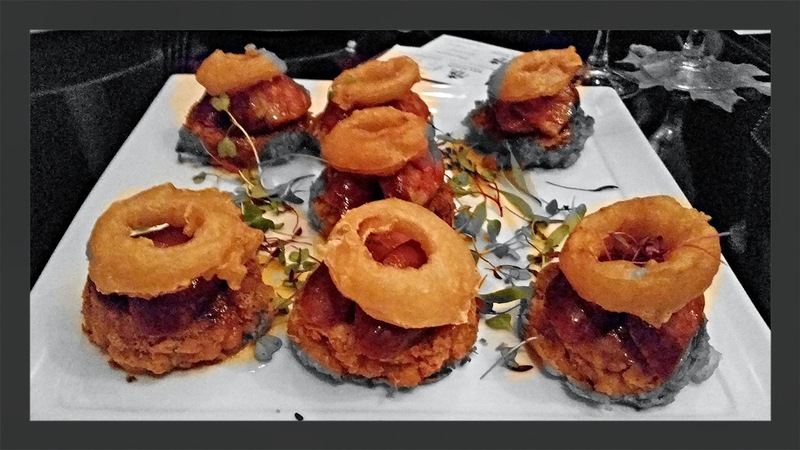 One of the more unique offerings was the Grilled Linguica Sausage served on white bean cakes topped with onion rings. This was a rich dish, but it comes with a sauce to even it out. Unique and flavorful. Of course no holiday feast is complete without turkey, so Reunion has a Sliced Buttermilk Brined Roasted Turkey that is off the charts good. It is served with stuffing. 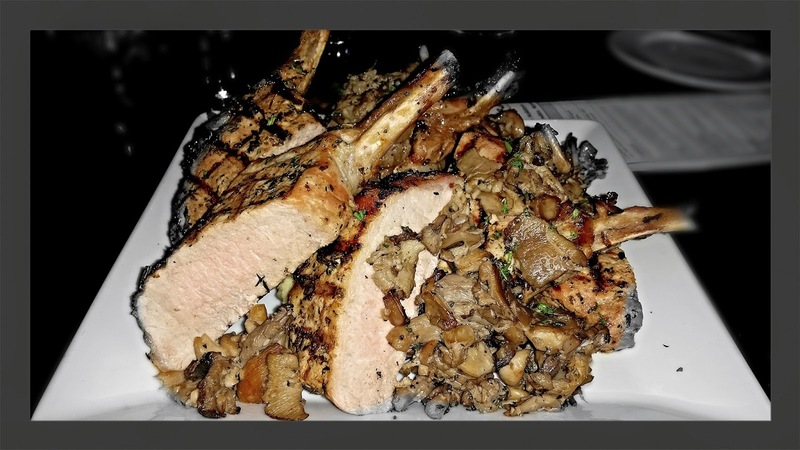 Guest who dine at The Clubhouse will be treated to a superb Pork Loin with wild mushroom confit. 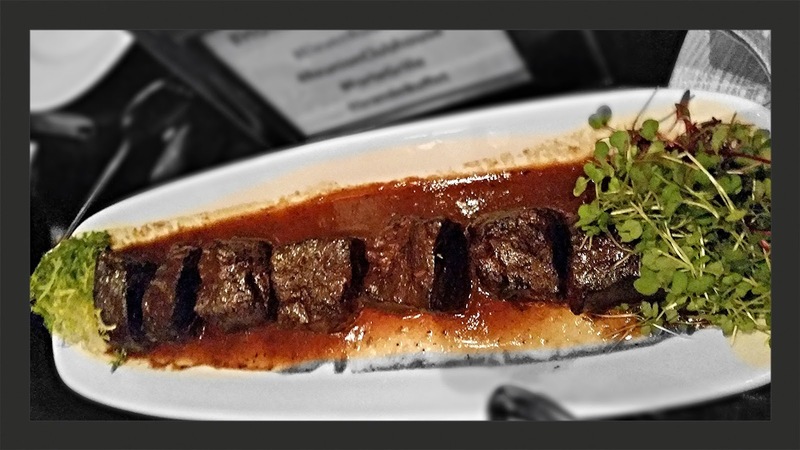 The Braised Short Ribs with coffee demi-glace will be featured on the Christmas Grande Feast buffet. These short ribs were tender and had nice depth of flavor and taste. 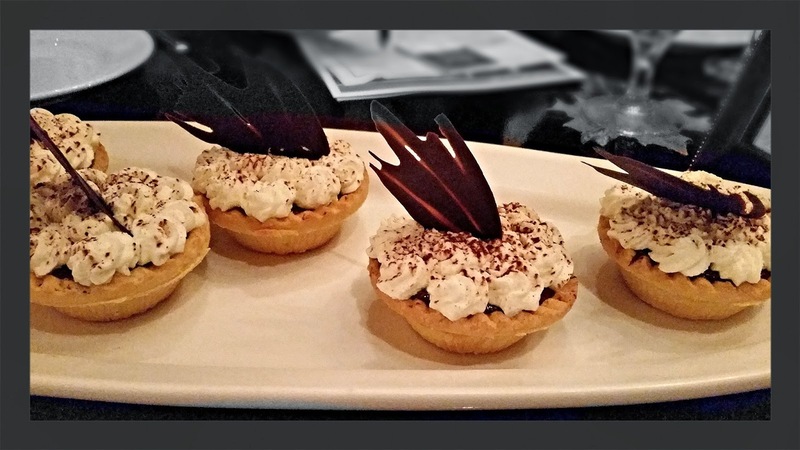 The dessert selections started with Dark Chocolate Cream Pies. These are pretty simple in concept, but provided a wallop of chocolate flavor. To finish out the evening we were treated to Spiced Pumpkin Creme Caramel that will be featured at Eleven on Thanksgiving. 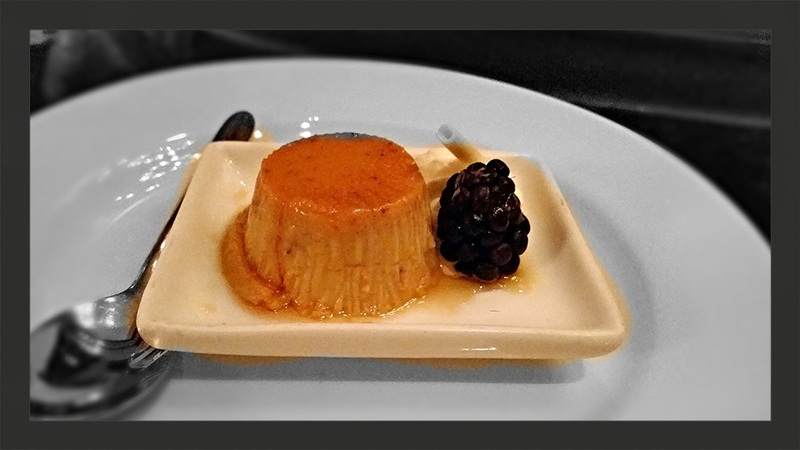 This was almost like a flan in texture, but much more delicious. So there you have it...lots of great food to choose from at a great resort for the family. 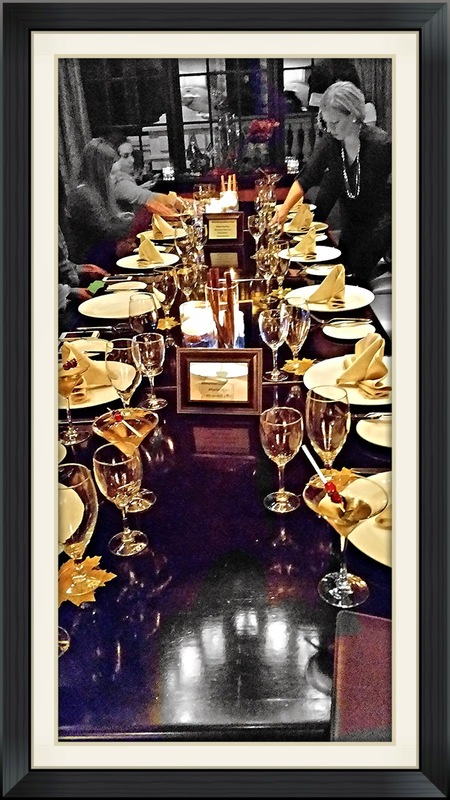 If you are considering dining at any one of the resorts restaurants or at one of the Grande Feasts, it is recommended that you make reservations and plan ahead.